Up next in our ‘In the BUFF‘ photographer spotlight series, we caught up with Nashville-based photographer, Lauren Athalia. 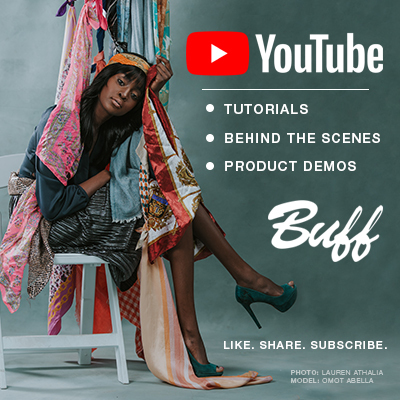 We had the pleasure of working with Athalia on a ‘How I Got the Shot‘ video for Tether Tools, and in this post she discusses her business techniques, creative process, and how she went from hobby to profession with Paul C. Buff, Inc. The ability to freeze time of course. In a way, every image taken is a moment of time captured and I like knowing I have that super power. 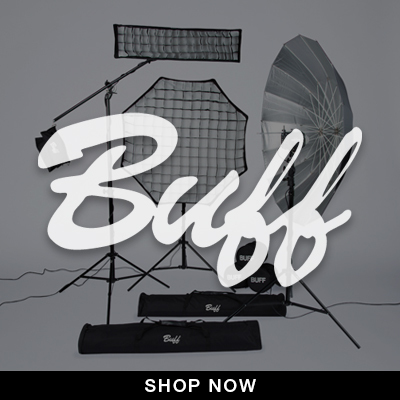 I used Paul C. Buff , Inc. equipment in the fall of 2005 which was the first time I stepped into a photography studio as an assistant. So it was a no brainer to use what I knew best when it was time to step out on my own as a photographer. Yes, I love a good two light setup. I find shooting through an Einstein™ Flash Unit paired with an 86” White PLM™ Umbrella in front of the subject and a second Einstein™ Flash Unit paired with a diffused beauty dish directed at the subject from the back of the scene to be a really effective setup. Basically, I begin with the end. I ask the question, “what are we trying to say with these photos or how will they be used?” From there I create a concept that will help achieve that desired end result. I never quite know when inspiration will hit me. It really can come from anywhere at any time. I’ve created photography concepts from all sorts of things like travel experiences, fictional characters, or a random location on the side of the road. I would love to do a conceptual fashion shoot for a top brand like Hermès in luxurious destination. I’ve been greatly influenced by Tim Walker, Kirsty Mitchell, Kristian Schuller, and Annie Leibovitz. I would have to say that one image from my Pearl Series taken in 2015 still resonates with me. I was standing in the ocean at sunset and gripping the sand with my toes so I wouldn’t fall with each wave. Dolphins played in the distance while a beautiful model posed like a mermaid in front of me. It was a special moment where the vision in my head collided with the beauty of nature. I’ll never forget it. I dabbled in photography in college and apprenticed with a studio for a few years but decided not to pursue it seriously until I later needed a creative outlet from my boring day job. Eventually, that creative outlet turned into a hobby and a hobby into a freelance job. At first I was apprehensive about following a photography career but I knew that even if I never got paid to take another picture I would still do it. I filed for my business license in 2012. What advice would you give a photographer who is just starting out using off-camera flash? Just keep shooting. When you aren’t sure where to begin or what to do next. Just get behind the camera. It doesn’t matter what kind. Just take photos. I used to be really obsessed with goals in my work. Obsessive is not always a good thing. Lately, I’ve decided not to be so hard on myself. I just want to work with amazing people on inspiring projects and follow all the open doors of opportunity that come my way. Lauren Athalia is a professional photographer that specializes in commercial portraiture, fashion and advertise photography. She currently resides near Nashville, Tennessee.